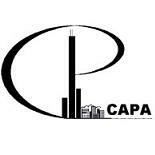 CAPA is a professional organization for Chicago area practicing anthropologists. Its goals are to contribute to the professional development of members; to demonstrate the practical value of anthropology to Chicago area businesses, organizations, government agencies, and the greater public; and to generate opportunities for the practice of anthropology within and outside of academia. When it was first started in 1992, CAPA was focused primarily on the practice of the anthropology of organizations. CAPA met monthly, published a brochure, and hosted a a symposium. Over the last 20 years, the focus of CAPA has changed several times. Today, CAPA offers members networking opportunities through its Yahoo Group and works towards the fulfillment of its mission. Enter your email address to follow CAPA and receive notifications of new posts by email.